Closing chapter from the third book of Portland’s finest storytellers, an epilogue from singer Colin Meloy, only supported by the acoustic guitar. Although their sound may sometimes revoke a kind of lamenting feel (Meloy is a big Morrissey fan and the album was recorded in a church, go figure), they cleverly avoid a lethal blend with little personal stories. Instead, it matches perfectly with picaresque (satirical prose, apparently) stuff like this. No problem of course for good old Lenny to follow up such an acoustic ballad. It’s acoustic guitar and great vocals again, only briefly supported by a backing vocal during the chorus. 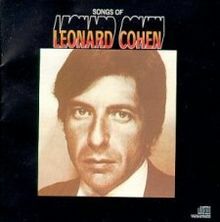 One of the many Cohen songs covered by Westcoast nightingale Judy Collins and also my favorite song from his debut album with one of the best (although very sober) sung choruses ever. Very curious how the album would have sounded if Cohen would have had the upper hand over producer John Simon when finishing the album. 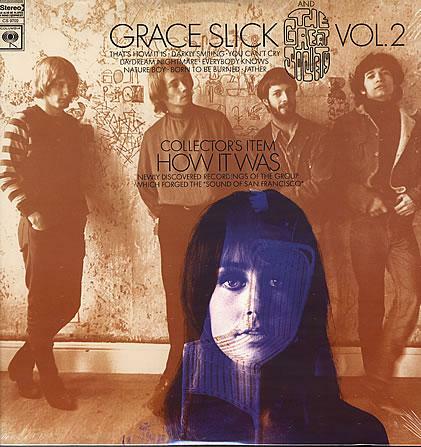 Live recording (including introduction, always adding some value if not reenacted afterwards) from Grace Slick’s family ensemble, recorded (obviously) before and released after Airplane‘s success. Together with Conspicious Only in it’s Absence a great pair of live albums, from the famous San Francisco Matrix Club. 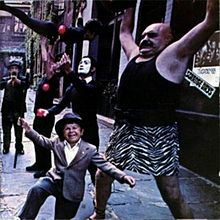 Same era, same region, this tremendous Doors song with cracking organ riff. I’ve had a serious Doors year thanks to the many times their songs popped up in the shuffle, each time inciting me to play the complete albums. 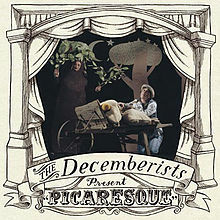 This one contains that raw, pure Doors sound from the debut album, which isn’t that strange as the songs of both records were written during the same period of time. Some kind of Amnesiac of its own era. Pass me the peace pipe once more, as we keep hanging around underneath the Californian sun. Another great switch by the shuffle, as the lead vocals don’t differ much from Morrison’s in the previous song. 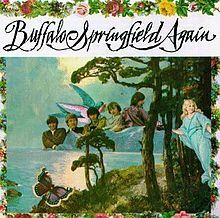 The stories of Buffalo Springfield’s origins are meanwhile almost as legendary as those about ‘successor’ CSNY, but we’ll concentrate on the role of those famous stages of that time. We discussed The Matrix Club before, and Buffalo Springfield’s first performance took place in Hollywood’s The Troubadour. A tour with The Byrds followed, after which Springfield became a regular at that third big club: The Wisky A Go Go. 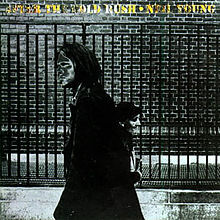 The disputes within the band were as similar as to CSNY’s ones and this (second) album even resembles Déjà-Vu as a collection of individual contributions of each band member. The joint tour de force of guitars and vocals in the end of this Stephen Stills song is very impressive, on an album on which the complete Westcoast elite is present, ranging from Hal Blaine, Carol Kaye, Jack Nitsche and … David Crosby. The piano intro is followed by sound effects that after two minutes inject this song with a serious load of stereo, a true gift for your headphones. 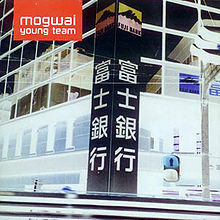 A debut album from a post rock band can’t become much better than this. Unlike many other bands, Interpol didn’t just repeat the sound of their debut album, but didn’t improve it much either. 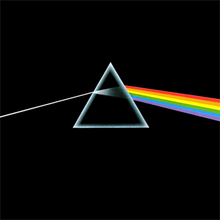 Solid though, and they’d better stopped right here, as this closing track already lasts a little too long, just like the entire album and the band’s complete oeuvre. 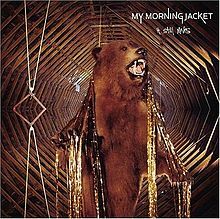 The Elephant 6 was mentioned last time when talking about Of Montreal, and here we got its pioneers, founded by Will Hart, Bill Doss and Jeff Mangum. 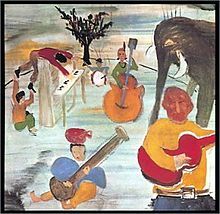 Mangum already left the band before the release of the first album (Dusk at Cubist Castle (1996)) to concentrate on Neutral Milk Hotel and the entire project basically stopped after this second and final album. 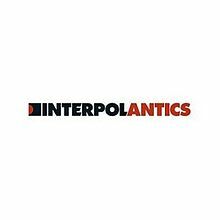 This is in fact the complete anthithesis of the solid selling predictability of Interpol’s Antics: delicious Beatles-Beach Boys pop alternated with long, experimental audio-collages and brief intermezzos with a length that make the average GBV-fan become a little jealous. 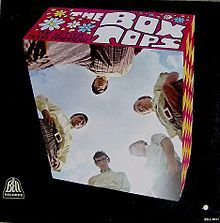 A last return to 1967 with this Memphis based band, but clearly rather an echo from the past than a glance into the future, as the artificial sound of rain and thunderstorm are rather touching after the sound effects in previous tracks. Closing track from an album that was released semi-obliged after the succesfull single ‘The Letter’, with Alex Chilton (who would later front Big Star) on lead vocals. 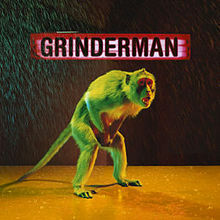 Strong track, again dominated by several sound effects, that (combined with the shrilling guitar, the driving drums and the threatening voice of Cave) perfectly succeed to absorb you into the song. 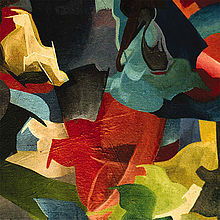 Cave’s temporary return to rawness after the baroque gospeltriumph on Abattoir Blues/The Lyre of Orpheus.